I have bought a lot of glitter spray over the years for my 3 girls and their friends when I realized ummm, I can make this myself. 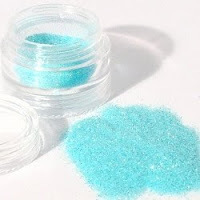 Taking just a few items, you can make many different combinations of glitter hairspray for each holiday or any day. 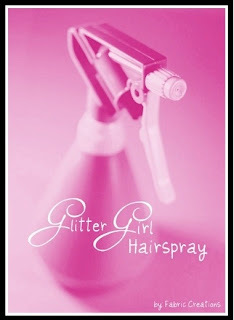 Decorate your Glitter Girl Hairspray bottle and it's ready to use. FYI ~ Remember to shake well before each use or you will clog up the inner tube. What a fab idea!!! I am so gonna try this in the next few days!! LOVE LOVE LOVE because my daughter must always have glitter in her hair - and I think she looks adorable with it in her hair! The best blog post I read all week. too cute and good idea to do it yourself!!! You will always have the colors you want!! How cute! I dn't use hairspray myself, but it's still a nice gift. What a great idea, and easy too. I like the way you listed the colors and when to use them. Happy you like it. Amy, I will have to check out your post on Sweet Dreams Spray. I love to see different ways to make it.